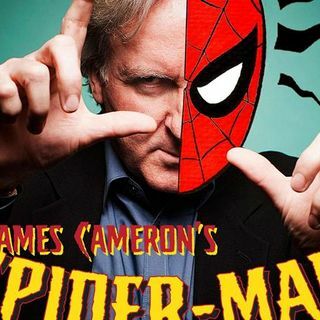 In 1993, James Cameron took a pretty decent script for a Spider-Man film, gave it his magic touch and then turned in one of the worst scripts ever written! In this first part, we meet a demented college professor obsessed with destroying the universe... BEFORE he becomes a supervillain! We also meet Peter Parker, a hapless college student who has no luck with the ladies! Joining them are some girls, a jock, a nerdy friend, a completely unimportant spider, and some university administrators. ... Más informaciones And SOMEONE gets bitten by a Spider in a science experiment! YOU'LL NEVER GUESS WHO! (no, really). If you want to be sure you don't miss a single part of this 5-part epic, subscribe to this podcast on the podcast platform of your choosing!